“I was personally attacked, kicked, and hit on the head,” Father Oliver said. Churchgoers said they felt threatened by the primarily Romanian gangs of beggars who frequented the churches for food. “I recently accompanied an elderly lady to her car because she was afraid of the beggars,” Brother Bedia, another monk, said. 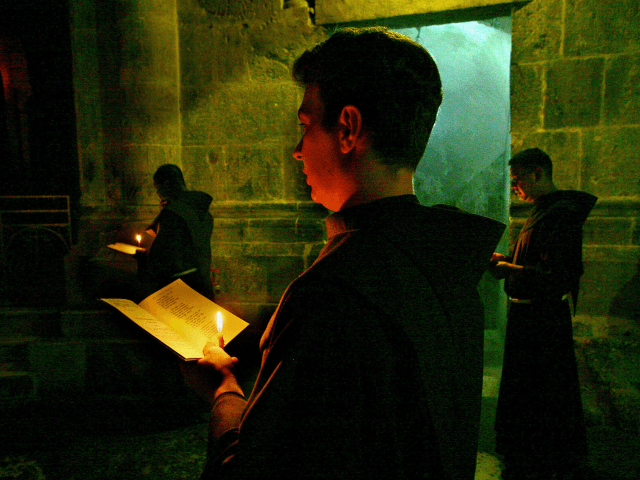 Previously, the Franciscans had fed around 40 migrant beggars — out of a total of 90 in Salzburg — every day at their monastery despite the migrants’ lack of respect, the Romanians said to often be drunk and habitually throwing their cigarette butts on the floor of the monastery. The Sunday incident was also not the first case of violence as in November of last year, a monastic helper has his tooth knocked out by one of the beggars, forcing the monks to pick up the bill for the subsequent dental repair work. Christian charities, including the Roman Catholic NGO Caritas, have been heavily involved with helping migrants since the height of the migrant crisis in 2015. Pope Francis has also been a firm advocate of welcoming asylum seekers, urging Christians to overcome their fear of migrants earlier this year. “Can we not realise that this is exactly what Jesus demands of us, when he tells us that in welcoming the stranger we welcome him?” he said. Despite the open border rhetoric from the Pope and several prominent Cardinals, many Catholics and even some clergy have pushed back against mass migration. Polls have shown growing support for populist Italian Interior Minister Matteo Salvini and declining support for Pope Francis’s migration views.